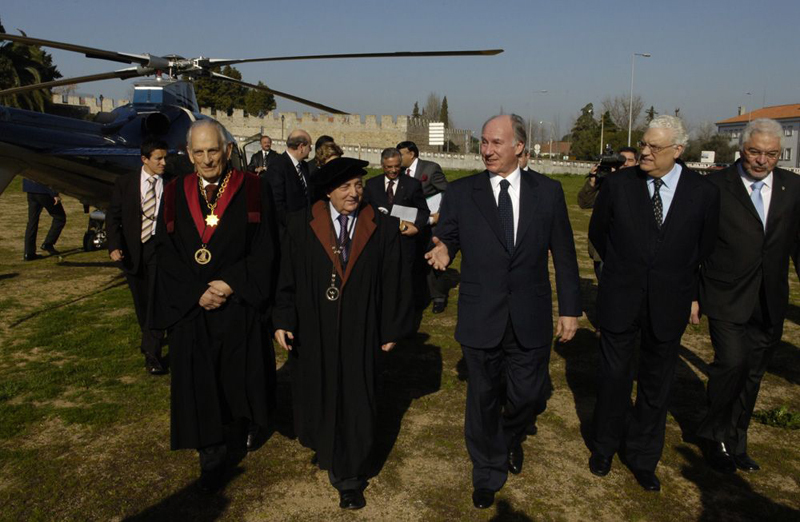 Home | Press Centre | Photographs | Awarded Honorary Doctorate by University of Évora for "Material and spiritual service to Humanity"
His Highness the Aga Khan arrives at the University of Évora , Portugal and is greeted by Professor Adriano Moreira, Manuel Ferreira Patricio, Rector of the University, Portuguese Foreign Minister, Freitas do Amaral and José Ernesto Oliveira, Mayor of the city of Évora. 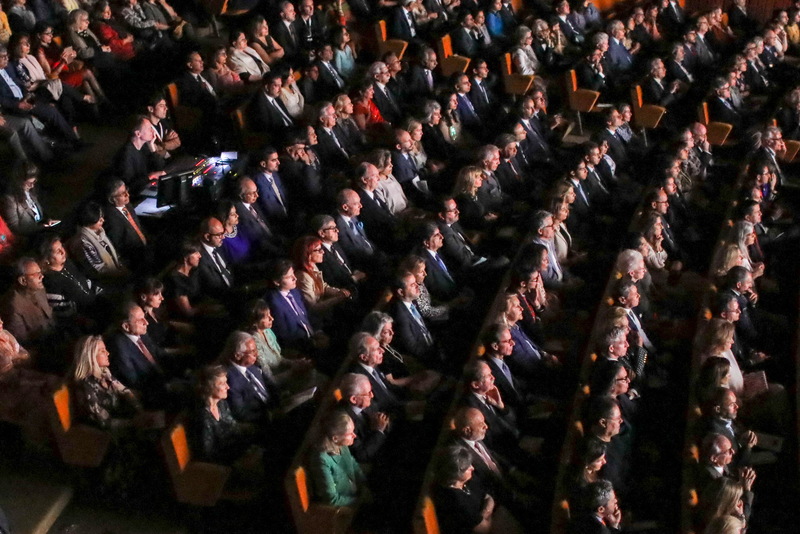 His Highness the Aga Khan is bestowed with the "Honoris Causa" doctorate degree in honour of "the extraordinary work of economic, social and cultural and educational assistance" through the Aga Khan Development Network. 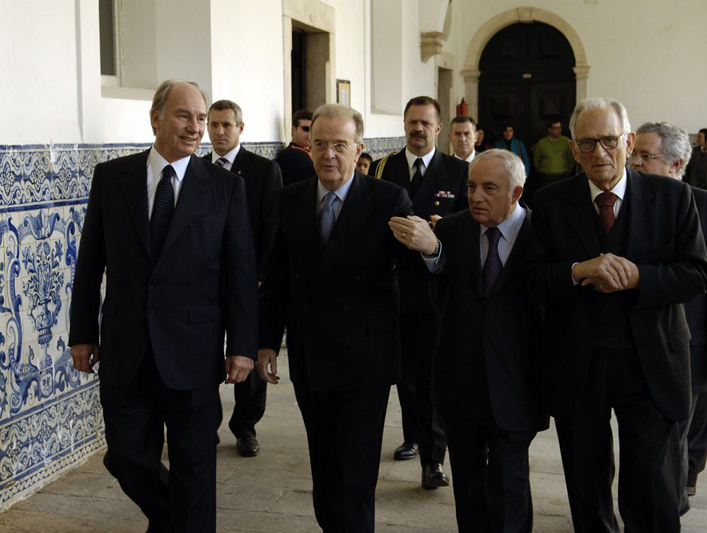 His Highness walking through the University of Evora with (left to right): President Sampaio; Rector of the University of Evora, Professor Manuel Patricio; and Professor Adriano Moreira. 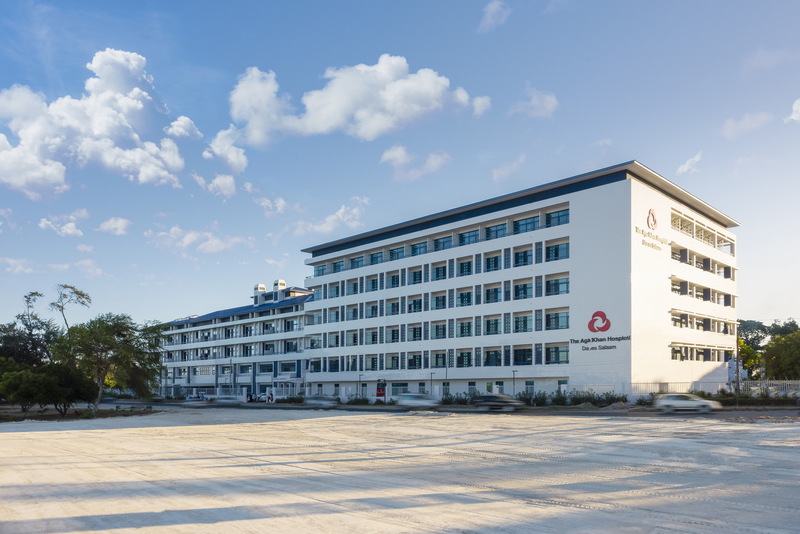 His Highness speaking at the International Symposium at the University of Evora, watched by (left to right): Rector of the University of Evora, Professor Manuel Patricio; President Sampaio; and Professor Adriano Moreira. Awarded Honorary Doctorate by University of Évora for "Material and spiritual service to Humanity"
Évora, Portugal, 12 February 2006 - Modern societies must improve the rigour and relevance of their educational curricula, strengthen the institutions of civil society and build a strong ethical framework of tolerance and respect if they are to be stable and secure democracies, able to protect the interests of their citizens, His Highness the Aga Khan said today.